Affordable Hearing Solutions has been serving the greater Green Valley area for 12 years. Originally located in the Green Valley Village mall shopping center, we moved our practice to a more convenient location with better and more parking for our valued clients. Richard Manuel arrived in Green Valley from Ohio and purchased Affordable Hearing Solutions in 2011. Richard turned the name and brand into his own and provided great service to our clients, making and keeping them happy for many years. This past spring, 2017, Richard decided to retire after 35+ years in the business. Our new owner/practitioner is Lynn Callaway, who has 15+ years experience and is dedicated to customer satisfaction. Many times referred by family or friends, clients will come in, oftentimes reluctant, to learn whether or not they have a hearing loss. 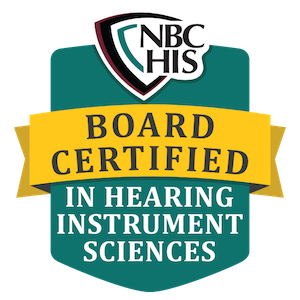 We begin by obtaining some background information regarding your hearing history. Then, a physical examination of the ears is done and visually observed through an otoscope. Then on to a soundproof booth to get the most accurate scores possible. The patient will be given the outcome of their hearing test, whether or not they have a loss, what type of loss they have, the severity of the loss, and whether or not amplification is recommended. A 7-10+ day demonstration is offered without charge for the patient to experience sounds in their own unique environment. Our team has over 50 years of experience and we pride ourselves on making the process as relaxed and easy as possible. Our objective at Affordable Hearing Solutions is to provide knowledgeable, friendly, personal service and the most advanced technology at an affordable price. This is a casual and comfortable environment, so come as you are! We do not use deceptive marketing methods or high-pressure sales tactics. All hearing aids are sold with a service warranty, a loss and damage warranty and a money back guarantee.